Great Southern Restaurants – Have you tried this week’s dinner special from @angelenaspensacola ? Chef @jamesbriscione is featuring Roasted Beet Salad with Farro, Pistachio-Truffle Vinaigrette and Crispy Beet Tops. This special will be available for dinner through Sunday for $12.95. Enjoy! Have you tried this week’s dinner special from @angelenaspensacola ? 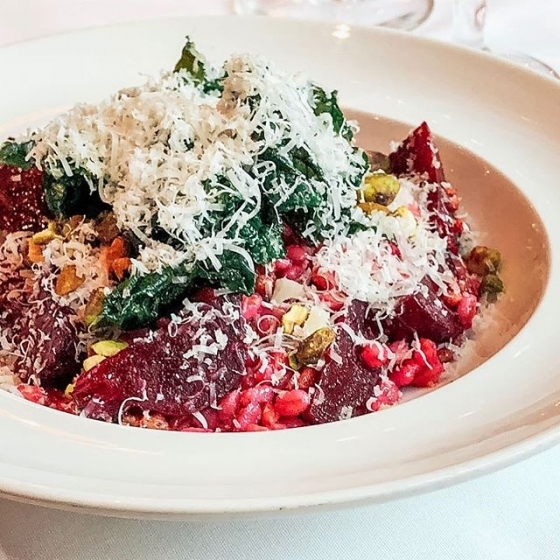 Chef @jamesbriscione is featuring Roasted Beet Salad with Farro, Pistachio-Truffle Vinaigrette and Crispy Beet Tops. This special will be available for dinner through Sunday for $12.95. Enjoy!